Friendly Decorations | A Consequence of Hypoglycemia. I moved cubes in the office today. I brought some friends with me. Fact: You Can Do This. 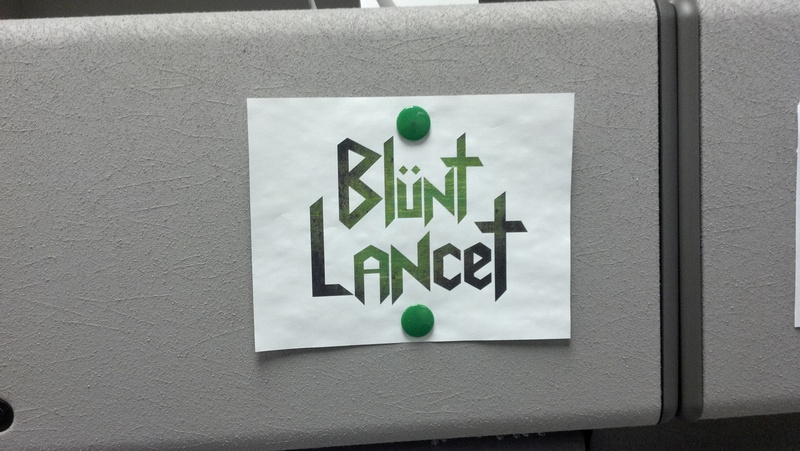 Blunt Lancet rocks in professional work settings too. 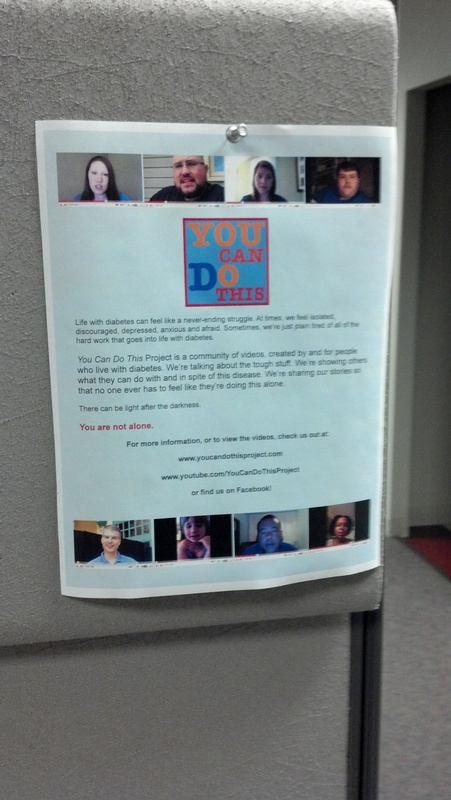 Advocacy comes in many forms. In this instance, it fits in in a space about 8.5 inches wide by 11 inches tall.